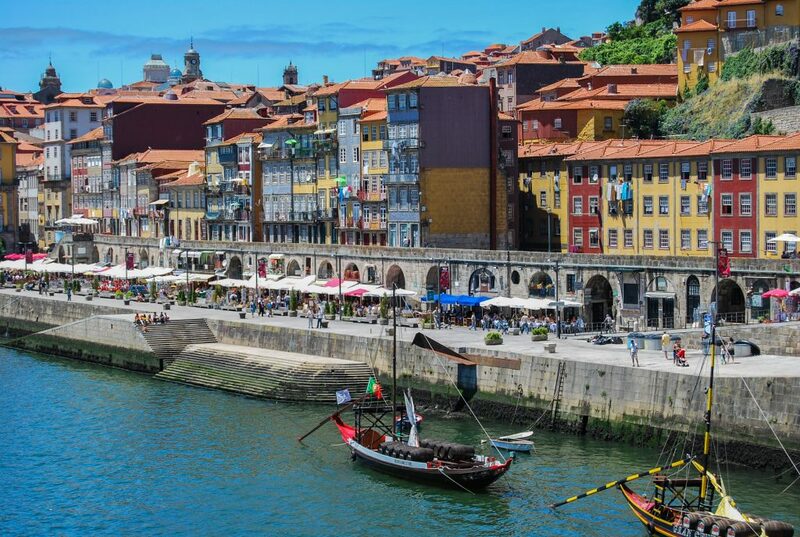 Portugal is full of history and Porto isn’t an exception. The second best-known city in the country presents some of the best attractions that are impossible to miss. Get ready for a dose of culture, architecture and high-quality food and wine – all in the same place! Start your day with a lovely breakfast at Dama Pe de Cabra that combines simple, rustic and traditional Portuguese flavours. This tiny cafe has been known to become a little crowded during peak times and on weekends, so come early if you can. With full bellies and eager feet, the next point of call will be the city centre starting with Avenida dos Aliados that you can consider as the main artery of the city, marked to the north by the City Hall and to the south by the Cardosas Palace (19th century). Do not forget to visit one of the most emblematic monuments of Porto, Clérigos was built in 1754 and designed by the Italian architect Nicolau Nasoni. Its tower has six floors and about 240 steps to the top, where you can enjoy an amazing view of the whole city. 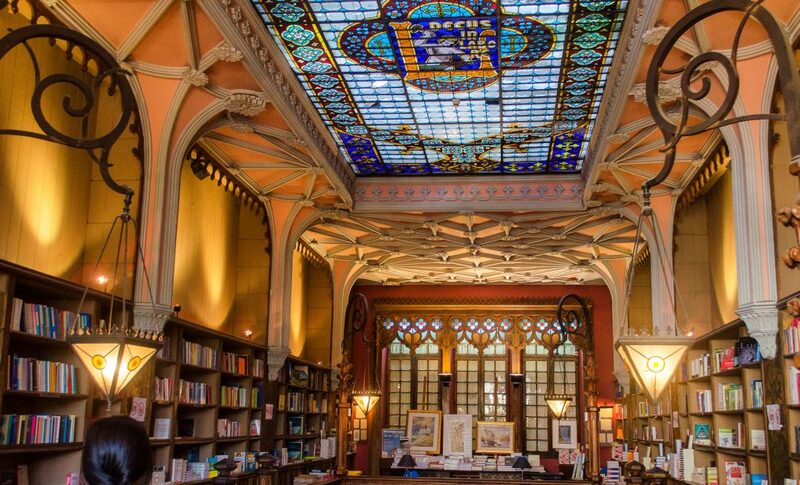 Also, Lello Bookshop, born in 1906, is one of the oldest and most beautiful of its kind in the country. Due to the large influx of visitors, the bookstore decided to start charging entrance, but the amount charged will be deducted in any book purchase. Wandering down through the narrow winding lanes until reaching the Ribeira, you will discover the colourful tile facades and hunched grannies hanging washing from the balconies made this delightfully scruffy neighbourhood a place we couldn’t wait to get lost in. 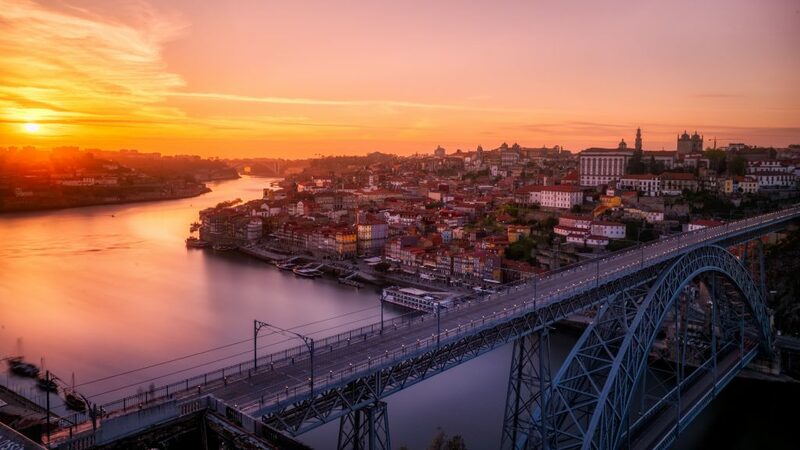 Join a boat trip up the river and finish on the other side – Vila Nova de Gaia – across Ponte de Luis I, the famous double-decker bridge, the family names of the city’s oldest institution sing out between the red brick rooftops. Opposite the dilapidated charm of the Ribeira, Vila Nova de Gaia is home to a vast network of perfectly tempered cellars filled with barrels of tawny, ruby and white. 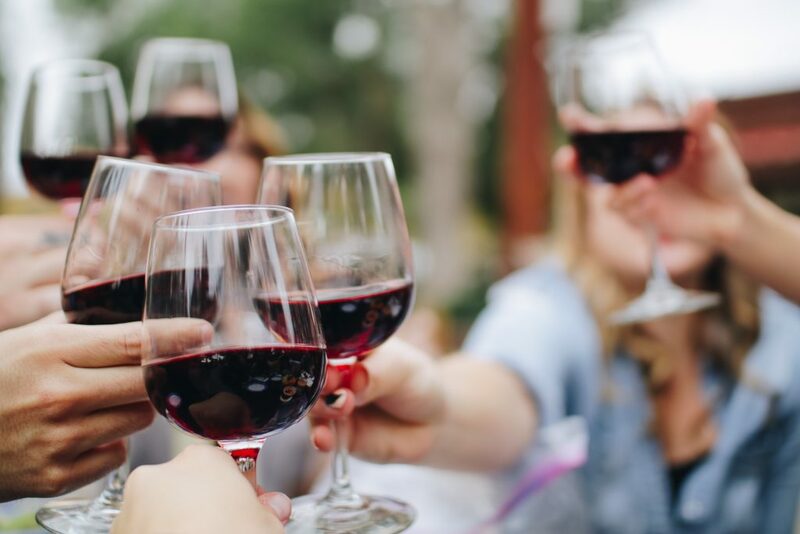 Time for a break and to enjoy lunch at Enoteca17•56, located on the Cais de Gaia, presents itself as a site for tastings and excellence, with a large gastronomic offer, where wine is king. 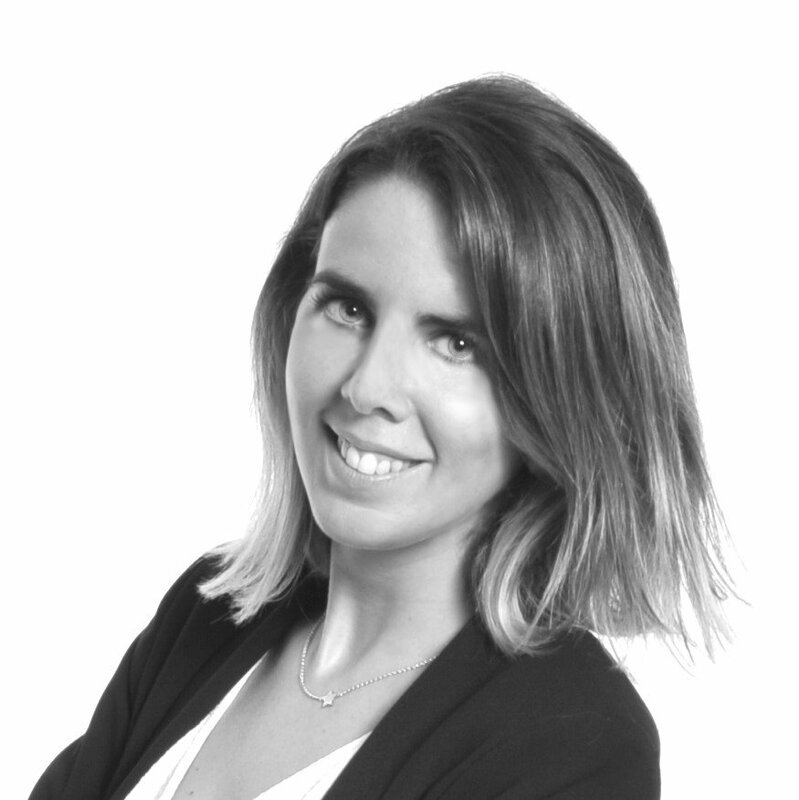 So, do not leave without tasting the best wine in the world – Vinho do Porto. The Port is matured in the vast cellars (referred to as lodges) that line the banks of the river. Next to the river, there is a cable car that transports visitors up to the Mosteiro da Serra do Pilar, a circular church and monastery, which also offers amazing views of the Douro river. On the way down, take a moment and enjoy the view on the top of bridge – Ponte Luís I. If you have time, the sunset from there is amazing! Contact us and we will take you there!